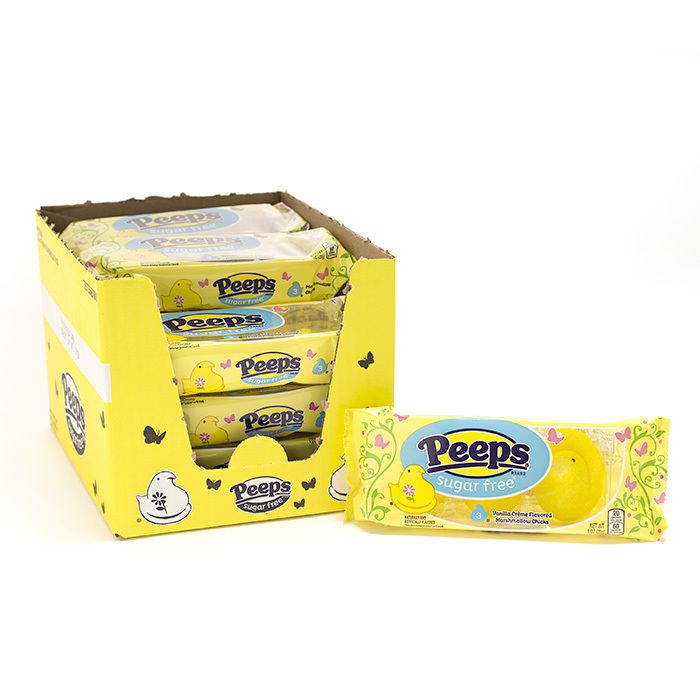 Peeps & Company New Product: Sugar Free Peeps! | February 3, 2019 - Dine.Savor.Repeat. Peeps & Company announced a new product today, Sugar Free Peeps! Not a significant source of Fiber, Vitamin A, Vitamin C and Iron. Maltitol, Isomalt, Polyglycitol Syrup, Sorbitol, Gelatin, Calcium Chloride, Natural Flavors, Yellow #5 Lake, Sucralose, Potassium Sorbate (A Preservative), Carnauba Wax. You can purchase these tasty treats on their website. This article is NOT sponsored by Peeps & Company. Dine.Savor.Repeat. shares new products that has been released by food and beverage companies. Sponsorship and Advertising Opportunities, please Contact Us. Does it taste different from a regular sugar Peep?